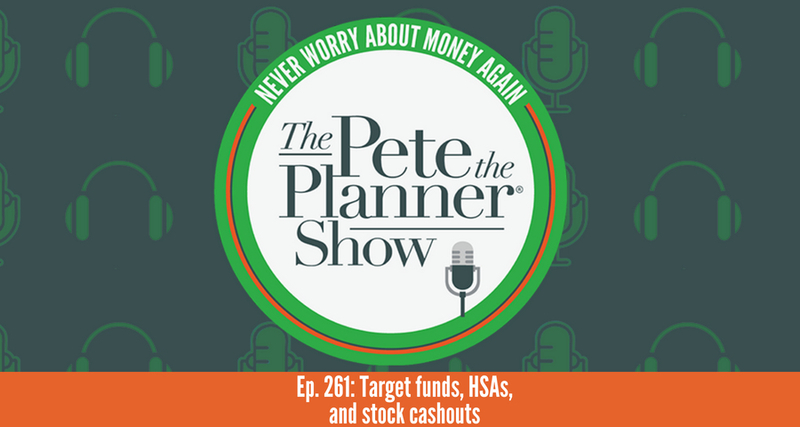 This week on The Pete the Planner Show we’re joined in studio by lead Financial Concierge on Your Money Line, Damian Dunn! Damian visits us at PTP HQ about once a month, so we take advantage and invite him to co-host when available. In this episode, Pete and Damian answer three VERY different questions (but, that’s usually how it goes around here anyway). To kick things off, we start with an email from a listener who isn’t feeling so good about the source of his target fund. With almost $500,000 in said target, he want’s our opinion on rolling that fund over and taking a distribution of about $30,000 to pay off some credit card debt. Our next question comes from an emailer who has been continuously saving in an HSA account. He plans to max out his annual contributions for the next six years until he retires, but in the meantime, he’s been exploring his options for growing that money and want’s Pete’s and Damian’s opinion on the best option. Rounding out our show, our third emailer wants to know if now is the time to cash out some shares and put it towards their kid’s 529’s. Or, should they pay off their minivan early in January/February vs. paying it off in Fall 2019?